We’d love your help. 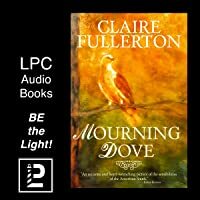 Let us know what’s wrong with this preview of Mourning Dove by Claire Fullerton. The heart has a home when it has an ally. If Millie Crossan doesn't know anything else, she knows this one truth simply because her brother Finley grew up beside her. Charismatic Finley, eighteen months her senior, becomes Millie's guide when their mother Posey leaves their father and moves her children from Minnesota to Memphis shortly after Millie's tenth birthday. Memph The heart has a home when it has an ally. If Millie Crossan doesn't know anything else, she knows this one truth simply because her brother Finley grew up beside her. Charismatic Finley, eighteen months her senior, becomes Millie's guide when their mother Posey leaves their father and moves her children from Minnesota to Memphis shortly after Millie's tenth birthday. To ask other readers questions about Mourning Dove, please sign up. How fun it was for me to read Claire Fullerton’s wonderful new novel, set in the social milieu of the Memphis Junior League, the Garden Club, the Memphis Country Club, and the city’s most elite private schools in the 1980s. I actually lived just a neighborhood away from the house where Camille (Millie) and Finley Crossan grew up, but my kids went to public schools in the late 1980s and 1990s, and we weren’t part of the upper echelon of the social fabric of Memphis. But I knew about it. And Fulle How fun it was for me to read Claire Fullerton’s wonderful new novel, set in the social milieu of the Memphis Junior League, the Garden Club, the Memphis Country Club, and the city’s most elite private schools in the 1980s. I actually lived just a neighborhood away from the house where Camille (Millie) and Finley Crossan grew up, but my kids went to public schools in the late 1980s and 1990s, and we weren’t part of the upper echelon of the social fabric of Memphis. But I knew about it. And Fullerton captures it beautifully in her novel MOURNING DOVE, written through the voice of Millie, beginning in her teenage years and moving into her tumultuous time as a young bride. Born in Minnesota, and spending their formative years there, ten-year old Mille Crossan and her older brother Finley were uprooted and moved to Memphis. Posey Crossan, their mother, had made the decision, without any warning, to leave Minnesota and her alcoholic husband and return to the world she knew. She slid back into the glittering and genteel Memphis way of life as though she had never been away. Millie and Finley found the transition hard, they missed their father and never stopped loving him despite being discouraged by his inability to stop drinking. Life in Memphis was totally different to anything they’d experienced and they felt a sense of not belonging. But at least they had each other. Mourning Dove is deep thinking, rhythmic and evocative. Millie is our narrator, and the story is a reflective bildungsroman of her youth. At the age of ten, Millie and her older brother Finley move to Memphis with their mother after she leaves their father in Minnesota. The Memphis of the 1970’s is sophisticated, rich and teetering with modern intellectualism. The house that they move to on Kensington—rife with their mother’s social circle and a despotic step father—is perhaps the hot bed into w Mourning Dove is deep thinking, rhythmic and evocative. Millie is our narrator, and the story is a reflective bildungsroman of her youth. At the age of ten, Millie and her older brother Finley move to Memphis with their mother after she leaves their father in Minnesota. The Memphis of the 1970’s is sophisticated, rich and teetering with modern intellectualism. The house that they move to on Kensington—rife with their mother’s social circle and a despotic step father—is perhaps the hot bed into which Millie and Finley germinate their life. With their past smothered and little to guide them, Finley’s innate talent for music, academia and ideas become the loadstar for them both. Finley is without a doubt the focus for the novel, and the force of his influence on Millie is not easily missed—it is endemic. The way Fullerton goes about making a teenage boy the novel’s Homo Deus is marvellous and thrilling. Finley is central to Millie’s thoughts and catapulted into omnipotence by a selfless admiration for his talent and intellect. The novel never gives us much of a dialogue with him, and we are frequently surprised by any revelation in his life—Millie is always the last to learn that he is performing with a new band, or that he has a girlfriend, or that he’ll be leaving to study in another town—Finley doesn’t tell her these things, and it’s a wonderful way for us as the reader to believe in him as a deity. As they grow older, the separation becomes catastrophic—Millie still loves her brother but the truth of him moves further out of reach and quells even a fantasised understanding. Mourning Dove is a wonderful narrative with purpose, direction and an emblematic linchpin. I found myself being drawn back to it again and again. The ending was just brilliant—it must have been Fullerton’s intention all along, which makes the story incredibly moving and masterful. You guys, book FOMO (fear of missing out) is a thing! And books like Mourning Dove by Claire Fullerton only feeds that FOMO. Fullerton is a new-to-me author, but boy, oh boy, did she make a big and lasting impression! Readers are taken through a tumultuous childhood through Millie Crossan. While things started out almost idyllic for this young lady in Minnesota, times changed. Situations and poor choices from others around her upend young Millie’s sense of security. And when the family trades Minnesota for Memphis, appearances become even more important than nurturing. Fullerton delves into some of the dangers of burying and hiding emotions, dysfunctional family life, and what happens when the person held as a hero falls from their pedestal. Millie’s unique voice, influenced by southern gentility, often reads like poetry. It’s her inner struggles and questions that drew me to her and her story. A simple sentence within the first pages of Mourning Dove invested me in the lives of Millie and her family. And it happened more than once—one sentence that kept me from setting down the book until the very end. This is not an easy read. It’s real, it’s raw, it’s life. But the emotional journey is well worth the ride. The Deep South in the 70s with its unwritten rules and slow moving life is beautifully written about in MOURNING DOVE. The story is told in that languid, slow and relaxed pace that life in the upper echelons of Memphis society occupied during this time. When Posey realized that her marriage to her northern husband was over, she took her two children (Finley and Millie) from their home in Minnesota and moved them to her childhood home in Memphis where she immediately re-claimed her place as part The Deep South in the 70s with its unwritten rules and slow moving life is beautifully written about in MOURNING DOVE. The story is told in that languid, slow and relaxed pace that life in the upper echelons of Memphis society occupied during this time. When Posey realized that her marriage to her northern husband was over, she took her two children (Finley and Millie) from their home in Minnesota and moved them to her childhood home in Memphis where she immediately re-claimed her place as part of the upper society. For Finley and Millie, it was an alien place but they soon learned the rules and how to survive. With their mother busy at cocktail parties and evenings at the country club while she looked for a new husband, Finley and Millie were often left on their own. Millie knew that her older brother was her protector and that she could survive anything with him at her side. At 36 years old, Millie is looking back at those early times and she is still struggling to understand how the relationship between she and her brother evolved into the darkness that it became. This book is not only a coming of age story for Millie but it's so much more. It's a look at the hierarchy of the South in the 70s and it's a look at two outsiders trying to learn the rules of the game so that they have a chance of surviving. Claire Fullerton, Author of “Mourning Dove” has written an intense, emotional, intriguing, captivating, thought-provoking novel. The Genres for this novel are Fiction, and Women’s Fiction. The timeline of the story is mostly in the 1970’s, and goes to the past or future when it pertains to the characters or events in the story. The author describes her unique characters as complex and complicated, possibly due to the circumstances describes. 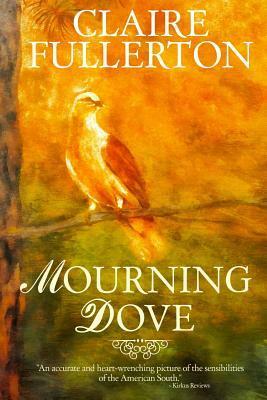 After a divorce, the Crossan family makes a difficult m Claire Fullerton, Author of “Mourning Dove” has written an intense, emotional, intriguing, captivating, thought-provoking novel. The Genres for this novel are Fiction, and Women’s Fiction. The timeline of the story is mostly in the 1970’s, and goes to the past or future when it pertains to the characters or events in the story. The author describes her unique characters as complex and complicated, possibly due to the circumstances describes. After a divorce, the Crossan family makes a difficult move from Minnesota to Memphis. Mrs. Crossan originally comes form the Southern culture, and easily adapts, but for her children Millie and Finley, it is harder to adjust. Finley is 18 months older than Millie, and Mille is dependent and looks up to her brother for everything. Finley is charming, and intelligent and talented. Millie feels that Finley has it all. In this story, the characters are searching for the meaning of life and the meaning of home. I appreciate that the author discusses such topics as alcoholism and addiction, communication, honesty , emotional support, love and hope. I would highly recommend this deep and involved family drama for readers who enjoy a novel that is deep and emotional. This was a deeply evocative novel and beautifully written, and yet I’m still sitting here trying to sort out exactly how I feel about the story itself. Narrated by Millie Crossan in the first-person, the story takes the form of a memoir—although the further I got into the story, the easier it was to forget this until the odd sentence cropped up reminding me that the narrator is actually looking back at her life rather than living it as it’s narrated. And yet by the end of the novel, I felt as th This was a deeply evocative novel and beautifully written, and yet I’m still sitting here trying to sort out exactly how I feel about the story itself. Narrated by Millie Crossan in the first-person, the story takes the form of a memoir—although the further I got into the story, the easier it was to forget this until the odd sentence cropped up reminding me that the narrator is actually looking back at her life rather than living it as it’s narrated. And yet by the end of the novel, I felt as though I didn’t really know Millie Crossan at all. I could tell you all the things that impacted her life, but I didn’t feel like I actually knew her. But the longer I’ve thought about it, the more I think that was the whole point—or at least partly the point. For a while I felt ambivalent about the story—despite the beauty of the writing—because Millie was such a passive character. She didn’t do anything; she just watched everyone else do things and got caught up in the slipstream. (I don’t want to be any more specific than that in case I give spoilers.) But towards the end, Millie herself realises that she's “just been floating along my whole life at the whim of other people”, and suddenly I had to re-evaluate everything I’d been thinking and feeling about the story. Because if that was the case, then the author had actually crafted the story perfectly. And in the end, it made quite a point about the need we have for affirmation and love, and for the ability to be real about our emotions and to not sweep the messiness of life under the carpet for the sake of keeping up appearances. This review is getting long, even for me, so I will just make two more brief comments. The first is that, as beautiful as the writing was (both the vocabulary and the imagery), there were many times when it didn’t feel authentic to Millie’s voice. I couldn’t help feeling that, even as an adult, Millie wouldn’t have had quite so sophisticated a vocabulary, and that occasionally pulled me out of the story. The other point is that the reader knows from the beginning that the story is leading up to a tragedy. The ‘who’ is revealed early on, but the ‘how’ is quite a surprise. I don’t mind an emotional read, but I like to be left with some sense of the character having grown through their circumstances, and I didn’t come away from this story with that sense. Again, I won’t say more because I don’t want to spoil anything, but it left me with a bit of an ache for Millie. So what does all of this add up to? If you love an evocative, beautifully-written story, this will tick that box. If you’re looking for a book that would make for great book club discussions, this will also tick that box. And if my review has whetted your appetite rather than dampened it, go for it. There’s every chance you will love it. Set against the backdrop of a complicated 1970s South – one both forward-looking and still in love with the past – and seen through the eyes of a Minnesota girl struggling to flourish in Memphis society, ‘Mourning Dove’ is the story of two unforgettable siblings with a bond so strong even death can’t break it. Claire Fullerton has given us a wise, relatable narrator in Millie. Like a trusted friend, she guides us through the confounding tale of her dazzling brother Finley, their beguiling mother Set against the backdrop of a complicated 1970s South – one both forward-looking and still in love with the past – and seen through the eyes of a Minnesota girl struggling to flourish in Memphis society, ‘Mourning Dove’ is the story of two unforgettable siblings with a bond so strong even death can’t break it. Claire Fullerton has given us a wise, relatable narrator in Millie. Like a trusted friend, she guides us through the confounding tale of her dazzling brother Finley, their beguiling mother Posey, and a town where shiny surfaces often belie reality. Like those surfaces, Fullerton’s prose sparkles even as she leads us into dark places, posing profound questions without any easy answers. On the second page we're told something about the ending, so right away there's tension as we watch the story unfold. "In the dense woods surrounding our house, we built tree ho This book took my breath away with its beautiful and emotional story of a family living in Memphis, TN in the early 70s. Millie and her older brother Finley are inseparable and she adores him. "In the dense woods surrounding our house, we built tree houses and horse corrals, just like the Cartwrights in Bonanza. We cleared the earthen floor with brooms made from twigs, and lined the boundaries with rocks we rolled heavily in to set the stage for cowboys and Indians because Finley liked creating imaginary worlds, and I never cared what we did as long as I was with him. " The Crossan family matriarch is Posey and she is a southern girl through and through. She brings the children from Minnesota to her hometown Memphis after their dad's drinking goes too far. There's no way to summarize succinctly everything that happens. We are observers as Millie and Finley grow up in the 70s in a town where image and reputation are everything. Alcoholism, mental health and religion also play a part. The time period was captured perfectly, in all its hippie glory from the bell bottoms and drugs to the music scene. It's southern fiction at its best - the genteel manners, the societal expectations of which schools to attend, the five o'clock mandatory cocktail hour, the "right" families, the "outsiders", the polite denial in the face of something unpleasant - author Claire Fullerton brings the south to life in a way that reminds me of the late Pat Conroy. I was completely transported and engrossed and captivated. "Your heart breaks only once in a lifetime. Every offense in its wake is only a variation of the original laceration." "We had Minnesota accents, we were white as the driven snow, and we both had a painfully difficult time deciph I am not sure that anyone who is not born into the opulent, and long cultivated upper echelons of Southern culture, would be able to slip into its charming, but strictly adhered to rules of engagement easily. Especially when you are on the cusp of your teen years and brought up in the very different environment. As are Millie aged ten and her brother Finlay, who is eighteen months older. "We had Minnesota accents, we were white as the driven snow, and we both had a painfully difficult time deciphering the Southern accent, which operates at lightening speed, and doesn't feel the need for enunciation. Instead, it trips along the lines of implication." This novel is about the relationship between a brother and sister and is written from Millie's perspective, now 36 years old, as she revisits their childhood and teenage years. She is looking for answers and clues as to where her relationship with Finlay, which had been so solid and close, began to disconnect. Without a doubt for me one of elements that is crucial to this, is their mother, and Claire Fullerton has done a masterful job in creating her self-absorbed but somehow vulnerable character. "My mother did not walk into a room, she sashayed, borne from the swivel of her twenty-four inch waist. Her name was Posey, and although there was a lot more to her that she ever let on, to all appearances, the name suited her perfectly." One thing about Mourning Dove isn’t just a book about family in the South. It’s about the reality of a family in the South. There are many dramatizations of what people believe life is like here in the Southern part of the US, but unless you lived it, you don’t know it. Claire Fullerton lived it. The author and I have had exchanges in the past about commonalities in our lives to the point that I know she is the real deal. She grew up a Memphis girl while I lived just 2 hours away in Tupelo, MS.
Posey grew up in Memphis, but left the South and lived in Minnesota. Returning to her childhood home is easy for Posey. She grew up immersed in the strange (at least it is strange if you did not grow up there) custo MOURNING DOVE is a work of Historical Fiction set in the American South. The version I read was an Audiobook narrated by the author. I was lucky enough to get an advance copy of Mourning Dove. I couldn't put it down. This book is beautifully and soulfully written, reminiscent in style of my favorite authors Pat Conroy and Anne Rivers Siddons. In a lyrical, Southern tone that lulled me into a gorgeous sense of place, Mourning Dove is set in Memphis, an historically preserved, musical town on the bluffs of the Mississippi River. Main characters Millie and Finley Crossan were born in Minnesota but grew up in Memphis. The sibling I was lucky enough to get an advance copy of Mourning Dove. I couldn't put it down. This book is beautifully and soulfully written, reminiscent in style of my favorite authors Pat Conroy and Anne Rivers Siddons. In a lyrical, Southern tone that lulled me into a gorgeous sense of place, Mourning Dove is set in Memphis, an historically preserved, musical town on the bluffs of the Mississippi River. Main characters Millie and Finley Crossan were born in Minnesota but grew up in Memphis. The siblings are outsiders to Southern culture, and this is much of the story. Their mother, Posey, is from Memphis’s aristocratic circle, and Millie and Finely follow her lead as they learn to fit in. I loved reading about this side of the South. I grew up in the Midwest but lived in northern Mississippi for three years during my early adulthood. While living there I was exposed to Southern society and found it fascinating as it was somewhat different from my parents' circle in Indiana. Author Claire Fullerton brings her characters to life and describes the Southern upper crust lifestyle with aplomb. I found Finley to be especially intriguing. He is gifted musically and academically, kind of a renegade with insight to everything that goes on in the story. He is complicated--vibrant and colorful. Some of the other characters were eccentric or out of the mainstream. I enjoyed the portrait artist Julien Enzo, the feisty family maid Ella and even (sometimes) the mean step-father who everyone called The Colonel. Mourning Dove is special--with heart and soul. I rarely read a book that holds my undivided attention the way this one did or one so well crafted. It makes one think about his/her own family dynamic no matter where he's from . I can't recommend this book more highly. It is a fantastic read! I had the pleasure and the privilege of reading an ARC of this book. Rarely have I read anything with such a finely-tuned and perfectly detailed sense of time and place. The author depicts the cultural enormity of two young children's move from suburban Minneapolis to deeply Southern, Memphis high society at the most vulnerable time of their lives with clarity, heart, and remarkably observed detail. This is book club material all the way. Mourning Dove is a wise and brilliantly evocative Southern tale enhanced by Claire Fullerton's inimitable wit. You'll be glad you indulged in this eloquent exploration of colorful and complex family dynamics. In her moving novel Mourning Dove, Claire Fullerton borrows a page from Southern Gothic writers like Flanner O’Connor and Carson McCullers, giving us an insider’s look at a family’s bumpy return to their Southern roots. For Millie, the teen protagonist and narrator, compared to unrestrained Minnesota, 1970s Memphis is a minefield of genteel manners and unwritten protocol, where even minor missteps carry damning social consequences and the likelihood of a scolding or worse. Navigating these const In her moving novel Mourning Dove, Claire Fullerton borrows a page from Southern Gothic writers like Flanner O’Connor and Carson McCullers, giving us an insider’s look at a family’s bumpy return to their Southern roots. For Millie, the teen protagonist and narrator, compared to unrestrained Minnesota, 1970s Memphis is a minefield of genteel manners and unwritten protocol, where even minor missteps carry damning social consequences and the likelihood of a scolding or worse. Navigating these constricting waters would be tough sledding for even a perfect family, which hers isn’t. Rocked by addiction, divorce, and her mother’s hasty second marriage of convenience, Millie’s world revolves around her supremely talented and equally fragile older brother, Finley. Cultures clash as the siblings struggle to forge their unique identities at a time and place where conformity to outdated values matters more than personal freedom and happiness. While she does a first-rate job delineating the troubled siblings, their coquettish mother, dour step-dad, and stoic household staff, the author’s real triumph lies in her ability to make us see, hear and breathe the atmosphere of upper crust Memphis, where appearances are paramount even when they mask a sense of family and society in decay. If you’re a fan of southern sagas or just a reader looking to experience some place new, Mourning Dove won’t disappoint. This Audiobook is told from the point of view of Millie who grew up in sixties and seventies American south. Millie and her brother spent their early life in Minnesota until their alcoholic father caused there parents to separate. So suddenly they find themselves in Memphis where they their mother finds herself back home at 79 Kensington Park. Millie and Finley slowly learn to navigate this strange new world. Finley can’t wait to get a way and pursue his musical career. Millie always relied on Finley to make her life more bearable. Especially when have to learn to live with their Stepfather who wants to control everything that goes on the house. This is slice family life and how every changes as we become adults. This is a compelling account of sister, daughter and wife’s changing relationship with her brother Finley. I far as was concerned the narrator is Millie recounting her from childhood until today. As I’m English this is a wonderful window into the up and downs of Millie’s life in the American South. This beautiful moving novel , full of Southern charm, family dysfunction, family life , love, loss, heartache, survival , and dreams is just amazing. In Claire Fullerton's Mourning Dove, Millie tells us her story and that of her brother, Finley. Claire Fullerton writes about southern living in Memphis, TN in the 1970’s and 80’s in her novel, MOURNING DOVE. Her children, Finley and Millie Crossan, move with their Mother, Posey, to Memphis from Minnesota to escape her alcoholic husband after she divorces him and to inherit the childhood home she grew up in. The story is written in the first person by Millie who has a fascination for her brother. She looks up to him, she’s very close to him and loves him. Posey is a true southern belle who Claire Fullerton writes about southern living in Memphis, TN in the 1970’s and 80’s in her novel, MOURNING DOVE. Her children, Finley and Millie Crossan, move with their Mother, Posey, to Memphis from Minnesota to escape her alcoholic husband after she divorces him and to inherit the childhood home she grew up in. The story is written in the first person by Millie who has a fascination for her brother. She looks up to him, she’s very close to him and loves him. Posey is a true southern belle who’s theatrical, loves her parties, cocktails and she’s such a socialite. As the children grow up, their lives change, but their father’s alcoholism always affects their lives and choices they make. I chose this book to read because of the title and all the great reviews that was given. I wasn’t sure I agreed with the reviewers until the very end. It was a fascinating and sad read about family life, addiction, death and loss. How childhood life can have an impact of the path you take in later life. This is a beautiful written novel. Millie’s early childhood took place in Minnesota, but Posey brought her children back to her own childhood home when she walked out on her alcoholic husband. Posey easily fell back into the social circles of the elite crowd, but Millie a Mourning Dove is cultural fiction set in Memphis and begins in 1970. It portrays the deep set roots of the Deep South. This is Millie’s coming-of-age story as she is moulded between her close relationship with her brother, and her distant rapport with her mother. Thoroughly enjoyed this well-written novel. Thought-provoking. Is it fiction? memoir? grief book? or all three? Written by a high school friend of mine and based in my hometown of Memphis. Highly recommend. I downloaded this on Kindle Unlimited after reading reviews on Rosie Amber and Between The Lines book blogs. Not my usual genre these days, but I do find the culture of the Deep South interesting, and the reviews assured me that it would be worth a read. It certainly was; it's a fine book. She had the kind of looks that waited in arrested development during her youth, then pounced like a cat around the time she turned forty. She was a woman who thought ahead, who'd redirected a nurse from inflicting an innoculation shot on my infant left shoulder to the area tucked beneath my left shoulder blade so I'd look good in a strapless evening gown. The other main character is Millie's brilliant, charismatic brother Finley, who excels at school but chucks up any sort of 'expected' career in favour of his band; this brings with it the usual associated difficulties, as artistic clashes occur and Finley becomes immersed in cocaine addiction, and later the insanity of relgious cults is added to the mix. Throughout, I could feel the clash of the old guard with the ideas and aspirations of the younger generation. In many ways, although we hear about her life too, Millie is the narrator of the lives of Posey and Finley and the life and times of those around them, standing back, as if her own tale is but a minor plot thread. It's so well-written, and the characterisation is marvellous. It works best if you read it in a Deep South accent, I found... and if complex family sagas are your thing, I am sure you will adore this book. I love a “different” type of book when it is done well, and Claire Fullerton has achieved exactly that in Mourning Dove. Fullerton’s fresh voice, sense of place, and exquisite writing make this story shine. Creative storytelling reads somewhat like a memoir as life events cause the now grown Millie to reflect back over her childhood and growing up years. This evocative and poignant story that explores the relationships within the dysfunctional Crossan family captured me from the very first page and never let go. It was magnolia-lined and manicured, black-tailed and bow-tied. It glittered in illusory gold and tinkled in sing-song voices. It was cloistered, segregated, and well-appointed, the kind of place where everyone monogrammed their initials on everything from hand towels to silver because nothing mattered more than one’s family and to whom they were connected by lineage that traced through the fertile fields of the Mississippi Delta. I loved the depth, complexity and realism of Mourning Dove. It’s raw at times, and the unfolding theme of a hero worshipped revealing feet of clay is something to which we can all relate. The seeking of God in different ways plays an essential part, which is never a “one-size-fits-all” experience.